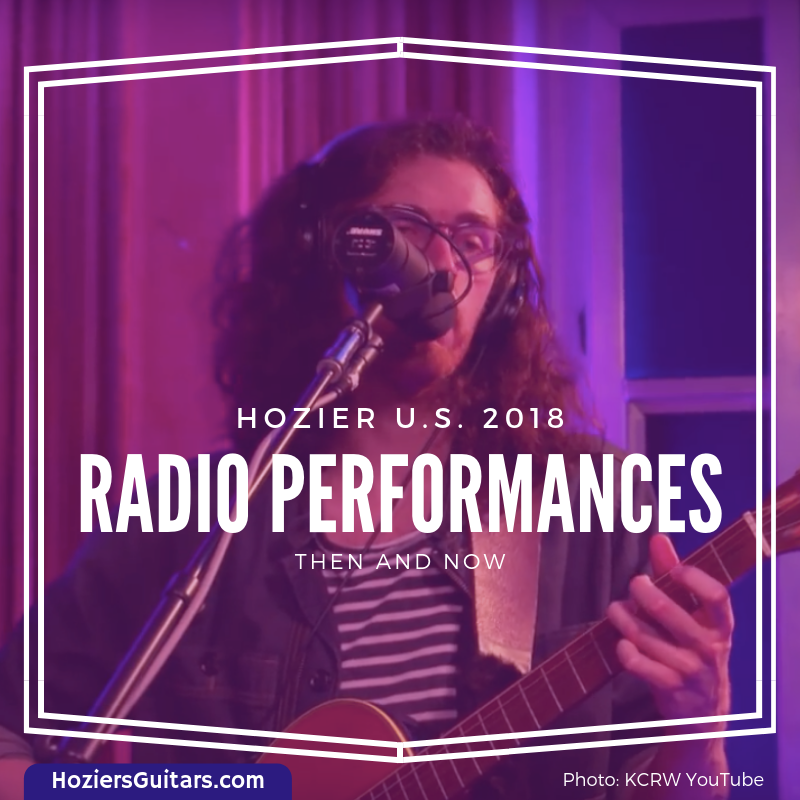 The Hozier U.S. Radio 2018 promo tour took him back to familiar places to play cuts from his Nina Cried Power EP. Here’s a look at the best of his radio performances this go round and how they harkened back to earlier visits. While in Toronto, Hozier visited Indie 88.1 to perform Nina Cried Power for their Collective Arts Black Box Session. You need to click through and watch this stunning performance. Hozier made an appearance at the WXPN studios just before his concert at The Fillmore in Philadelphia. Earlier this summer, Hozier was interviewed by the World Cafe host, Talia Schlanger, regarding his upcoming EP. Hozier’s first performance for World Cafe was on 15 May 2014 as part of Non-COMMvention 2014 and later rebroadcast on NPR. Here’s his performance of From Eden from 2014. One of the biggest names in independent radio, KCRW is known for bringing us brilliant performances from incredible names in music. They brought us Hozier’s first live US radio performance back in March 2014. So it was no surprise to see Hozier stopping by the studio again for a performance and an interview. Be sure to check out the full performance in audio or video format. Brian Lowe, the photographer at KCRW’s Morning Becomes Eclectic even caught Hozier out of the studio as well. Hozier on his first visit to KCRW in March 2014 performing Take Me To Church. As part of a KFOG Studio Sessions Sound Check, Hozier gave an interview and performance prior to his concert at Fox Theatre in Oakland, California. Back in May 2014, Hozier joined KFOG in studio to sing Cherry Wine, To Be Alone, and Take Me To Church. We can’t talk about past and present without mentioning his recent SiriusXM interview. Even though it’s not a performance, Larry Flick was the first person to interview Hozier on U.S. radio back on 10 March 2014. Hozier also did a performance for SiriusXM in August 2014, was interviewed by them at the Wayhome Festival in 2015, and again this year at Austin City Limits. Performing Take Me To Church in 2014. Special thanks to Hozier’s Guitars contributors @literarypengke, @Megn0481, @AInabsentia, @aenroute, @FYeahHozier, Biljana J, and more. Featured image: KCRW YouTube. Graphic by Hozier’s Guitars. Tagged Black Box Sessions, Indie 88, KCRW, KFOG, Morning Becomes Eclectic, North America 2018, radio, Sirius XM, World Cafe, WXPN. Bookmark the permalink.